Magnuson Park officials have recently installed a barrier preventing left turns after entering the park at the 74th street entrance. This change impacts the visitors to our Seattle Program Center. Magnuson Park officials have recently installed a barrier preventing left turns after entering the park at the 74th street entrance. 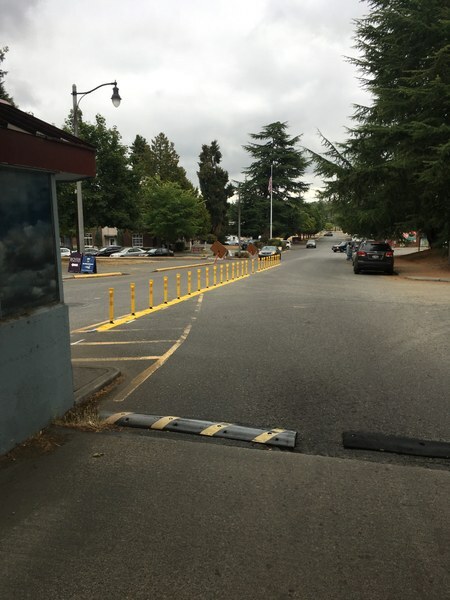 The purpose of this is to prevent traffic backing up into the intersection, which is the cause of a high number of automobile accidents and injuries along Sand Point Way. Those arriving at The Mountaineers via car will need to take the second left and go around the block, passing by the east side of the facility and the friction slab. This effectively results in the block becoming a large roundabout, with the road on the west side of The Mountaineers a de facto one-way southbound thoroughfare. The barrier was installed as a trial this year and data will be collected to evaluate its impacts on traffic throughout the park. If the barrier is determined to be successful, Magnuson Park will construct a permanent installation with the Sand Point Way Safety Corridor project as soon as 2019. With this change we hope for less northbound speeding on the road to the west of the Program Center. 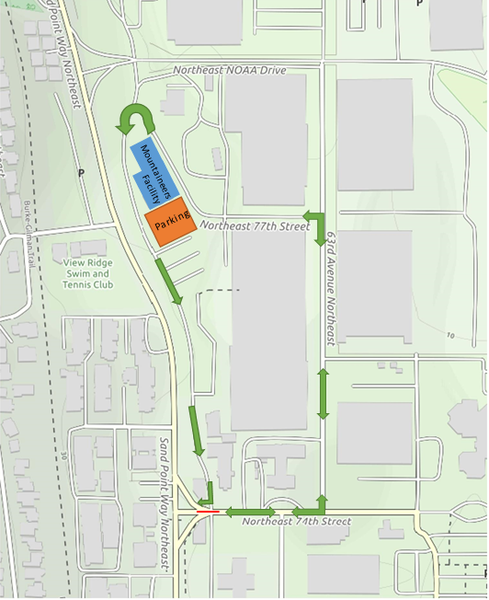 Please maintain slow speeds on the new route along the east side of the facility.